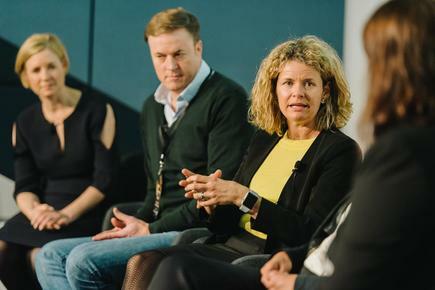 Building a modern-marketing function - and injecting and maintaining ‘cultural’ elements like back-end collaboration - is easier said than done, according to a group of marketing chiefs speaking at the second annual CMO Momentum. Former Jurlique CMO, Andrea Martens; National Heart Foundation CMO, Chris Taylor; director of marketing and communications at the University of Sydney, Johanna Lowe; and Xero Australia small business director, Penny Elmslie, all spoke during a panel discussion on the power of culture in building the right team for their organisations. During the panel, the marketing chiefs suggested manoeuvres on the cultural front include a focus on building the right teams, perseverance when changing the way in which people work to achieve greater agility and functional excellence, and adopting a host of structural and procedural changes to achieve cross-collaboration. For example, Heart Foundation's Chris Taylor has had his hands full getting the marketing team right. Staff assessment and team building has already been one of his biggest challenges as the foundation undergoes ‘historic’ structural changes. Taylor, who joined the foundation 12 weeks ago, is tasked with developing a single marketing function for the national body for the first time. As of 1 July, the foundation became one organisation. 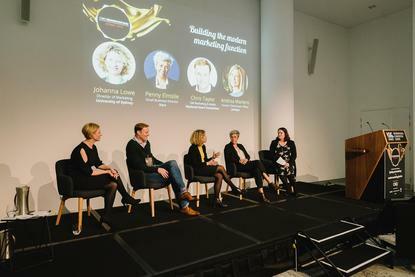 “In Australia, not-for-profits tend to be structured in a federated way, which means that, in our case, there are eight state and territory bodies, each with their own CMO and each with their own board," Taylor told attendees. “For an organisation that’s been around for almost 60 years, you can imagine how difficult it is, from a marketing point of view, how difficult it is to have any brand consistency or consistent approach to strategy when it comes to marketing or digital-led customer experience. “That changed about 18 months ago," he said, explaining a new national CEO came onboard. The unified organisation will now be led by the national CEO, adjunct professor John Kelly. In that vein, Taylor has been busy developing the marketing structure and accessing the overall marketing staff and placing them into appropriate roles. He is also on the hunt for 15 people in the marketing team across brand management, direct marketing, SEO/SEM, marketing insights and social media. “I had to quickly assess people, and then place them into the structure to basically match the skills that they had,” he said. But in making the initial assessments, Taylor unearthed both challenges and opportunities, which only “came to light” once he started the restructuring process and determined people's capability and suitability for the roles. A big hurdle has been dealing with how to shift people’s traditional way of working and method of operation. Like Taylor, getting the “right team in place” was the first port of call for University of Sydney director of marketing and communications, Johanna Lowe. “I was fortunate I was able to build my own team, pretty much from the ground up. There was about 20 per cent of people who had been at the university for awhile, and the rest I was able to recruit. But that meant we had no corporate knowledge or history, and I needed people to really get under the skin of the brand," she explained. As part of the strategy, Lowe centralised functions - a move that involved shifting people’s traditional ways of working. She has physically grouped teams next to each other, including the student function next to the social media function, in a bid to inspire collaboration. Every week, Lowe chairs a meeting where every channel owner, audience owner and stakeholder manager comes together and recites what’s happening in their respective spaces, which reveals the news and issues of the week. “It is that culture of collaboration and sharing and reaching out to others that we needed to formalise in a meeting so that it could become organic,” she said. Lowe, who comes from a corporate background, started building a modern marketing function when she joined five years ago by weaving the cultural aspects into the University of Sydney. “The pace, the cadence, the kind of professional function I was used to was quite new to the university. The lessons I learned would be ‘go hard early’ because you get one chance to go and own it all - and set what the table looks like for what you’re going to do in the future," she said. The strategy involved determining the way in which people liked to work, their likes and dislikes in terms of process and even their personality type and how it related to the work environment. It was so important given marketers and academics can often be on the opposite end of the scale. For former Jurlique CMO, Andrea Martens, the first step was taking a “step back” and evaluating the overall marketing strategy as it related to culture. 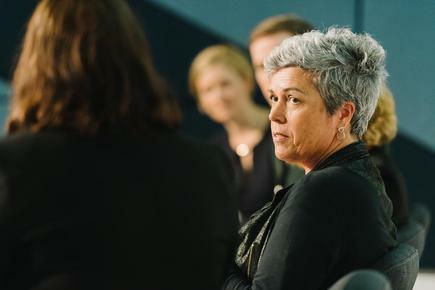 At the time, Jurlique was a product-centric organisation that needed to shift to a consumer-centric organisation and Martens said she helped build a structure and approach that would bring the consumer to life in every single decision-making process. “My role was one very much of organisational structure, but then secondly it involved investing a lot of time in the coaching and development of teams. Because ultimately it was a very new way of working, starting from the old structure where our marketing talent were based on innovation or on communication, to then move to a consumer-centric model where they would do the whole process. Brand health, as an example, was run out across all of its markets. “Rather than doing the brand health centrally and issuing that out to the markets and saying ‘here’s the information and go and work with it,’ we actually brought all of the markets together," Martens said. “We worked together with the global team and local markets. We workshopped over the space of a week the data that came in. The data was the richness of their consumer, their market, that showed the problems and issues within their funnels, as well as the strategies and tactics that needed to be developed in order to resolve some of the challenges. Restructuring has also been a central focal point for Penny Elmslie at Xero Australia, who said she’s had to restructure the marketing team three times due to rapid growth. “I learned I had to adjust and massage our team constantly. I have done three restructures in five years. Restructure is sometimes a scary word, but certainly in a fast-paced environment it’s an opportunity," she said. Elmslie said collaboration with the global team - particularly given she has a small marketing team of 20 - has been vital to her local success. She aims to have her marketing team complement the global marketing team. “We recognise they [global product marketing] don’t need to make the cake and then our job is to sell it. They need to give the regional teams the ingredients, and then we need to go in and pick and choose what’s required, time for our market, the competition, what’s going on in our place, and then the most important thing is that we close the loop," she said. While collaboration is the ultimate end game, Lowe said someone needs to step up and take charge. It needs to be clear who’s running the show.